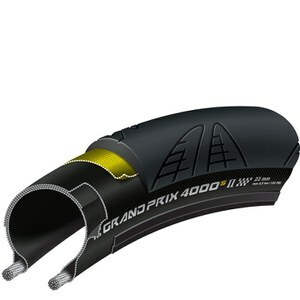 The gold standard among high-level aluminium road bike wheels. Unrivalled in the peloton: extraordinary performance and high impact aesthetics make these road bike wheels the point of reference for cyclists. I felt the difference in the first meters. Stiff wheels with a soft rolling. It was delivered sooner than expected, 100% satisfied. 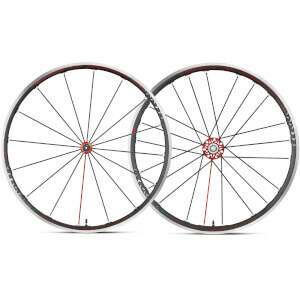 These are great wheels, excellent for travelling with as they are light but really hard to damage. Great price at under 1k. 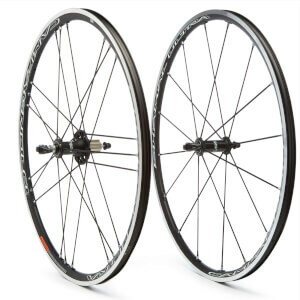 Nice looking wheels with bladed spokes, they replace my Fulcrum 3s which I also liked. They spin very well and feel a couple of km/hr faster if you an measure such things. Rode them in strong winds yesterday and felt no adverse effect. Very surprised by the improvement in the performance and the ride quality over the standard wheels from BMC. They roll especially well on the Vittoria Corsa G+ clinchers 25mm. Wish I had bought them sooner. First use of these wheels and I'm SUPER impressed with the smooth rolling bearings and responsive acceleration from starting. Also very stiff feeling under you as you roll along at any speed. The other highlight for me is the 25mm tyres that go with this new Zero wheel-set. My first time venturing to 25mm from 23mm and I love the comfort of the ride on the 25's!! Can't wait to hit the hills with these wheels and fire them up!! Light, good quality, spin easily, stay true, and reasonably priced. 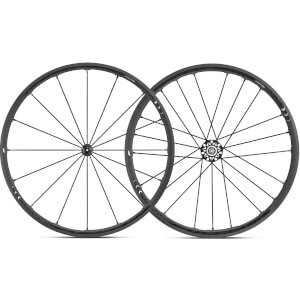 This is a great choice if you are in the market for good aluminum wheels. I am very satisfied with my purchase. Only complaint is that I did not pay attention to specifying the 2 way fit model. i wrongly assumed all racing zero are 2 way fit. My mistake. I received the regular clincher model. This option is not offered one the order form. I am going to try and run it tubeless regardless.